Whilst in Cornwall a couple of weeks ago I had a delightful honey muesli trifle at the Cherry Trees Cafe in Padstow Harbour. 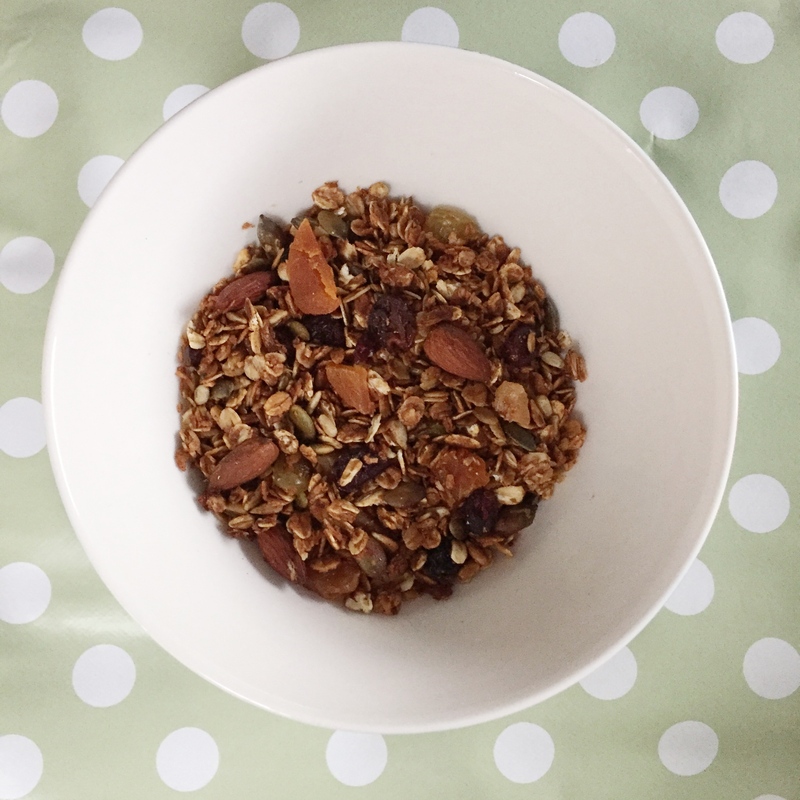 I also love Granola so in search of something in between I found this recipe in my lovely Primrose Bakery book that I just had to try! Makes enough to fill a 1 litre jar. Preheat the oven to 180°C/gas mark 4. Line a baking tray with baking paper. Melt the butter, honey and golden syrup in a heavy based saucepan over a low heat until runny, stirring continuously. Tip in the oats, almonds, sunflower and pumpkin seeds onto the lined baking tray and pour over the warmed mixture. Bake in the oven until golden brown and a little bit crisp, this should take about 25 minutes. Make sure you rotate and stir the mix frequently while its baking. Once out the oven allow to cool fully. Then add all the dried fruit and mix well. Store in an air tight container and it should keep well for a few weeks! So tasty served with natural yoghurt and lots of fresh fruit or simply soaked in lashings of fresh milk.